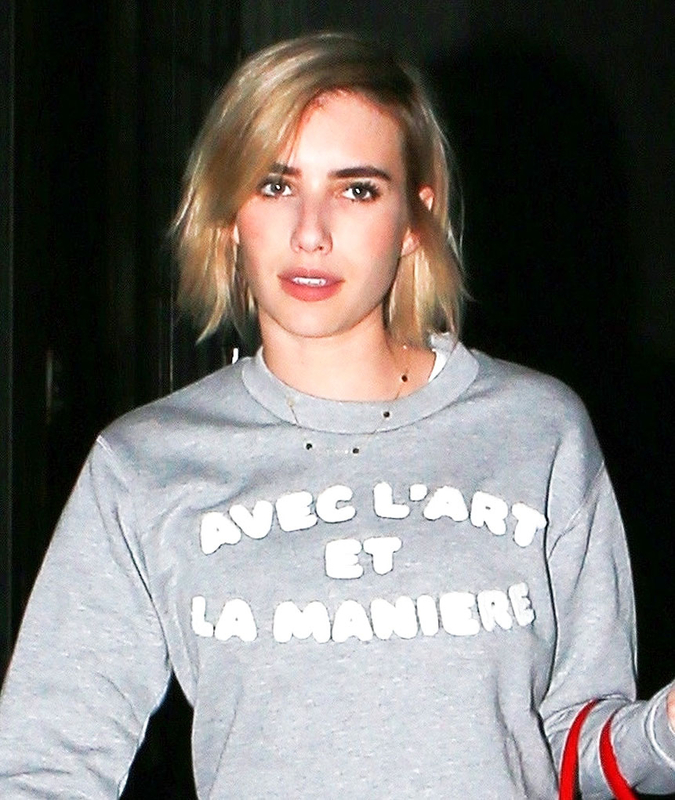 Welcome back, Emma Roberts! The 26-year-old actress has rocked nearly every hair color under the sun — from cayenne red waves, to smoky brown locks, to platinum extensions — but her latest hairdo is a recreation of one she’s worn many times before, the textured blonde bob. And why not?! Roberts’ look is her signature for a reason: It looks amazing on her. To go back to one of her fave ‘dos, the American Horror Story star turned to NYC’s Nine Zero One salon on Thursday, August 3. The salon’s coowners, Nikki Lee and Riawna Capri, chatted with Us about giving Roberts the look. In other bob-related news, Lucy Hale, who has been rocking the short look all summer, just got a subtle, yet stunning, update to hers. The Pretty Little Liars alum, 28, lightened her dark brown hair ever so slightly with some chestnut strands. My @kristin_ess of Vancouver is @chrisweberhair ? thank you thank you for being so sweet and warming up my locks ? “My @kristin_ess of Vancouver is @chrisweberhair ? thank you thank you for being so sweet and warming up my locks,” she captioned the Friday, August 4, Instagram debuting her new look.